How Can I Be More Honest with My Spouse? There are no degrees of one flesh-ness in marriage; it’s just one. The left and the right hand do not slowly become part of the body at birth. It’s all in, all the time, right from the beginning, with no exceptions. When a couple gets married, they are positionally one flesh in God’s mind, though they will spend their entire lives functionally growing deeper and deeper into one flesh-ness. Getting married does not make a couple totally, functionally one flesh in all things. It is a process. 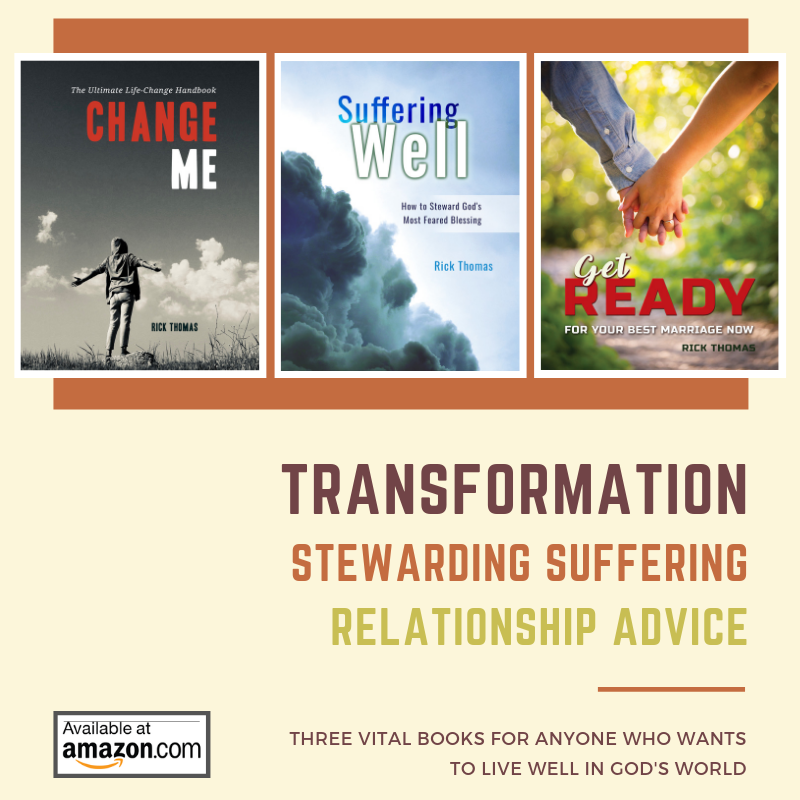 The burden is on the couple to fully assimilate into what God has appointed them to become. A man and a woman will have to work hard to be one flesh. And the first key in that process is to determine which way you are leaning. Are you leaning into or out of the marriage? All couples are always moving away from something while simultaneously moving toward something. This concept is the idea of the Genesis text, which Paul repeats in his famous marriage passage in Ephesians. The direction is clear. The new couple is leaning away from their parents while leaning into their newly established home. One of my professors called this new arrangement an “Autonomous Domestic Empire.” I like his word usage. The new couple disconnects from where they came from and leans into a new agreement–their one flesh, independent, God-sustaining, domestic empire. This “leaning question” is huge, and how you think about it will establish your marital trajectory for the rest of your lives. You have probably heard the analogy of two ships leaving the harbor side by side. They were only a few degrees off regarding their destinations. One ship ended up in England and the other ship ported in Africa. Just because you are side-by-side at the altar does not mean you’re going to end up side-by-side at the end of your life. If you have any hope of finishing together, you have to determine from the beginning that you will be intentional about total assimilation. One flesh is how it sounds. It’s one flesh. Those who want to be one flesh understand it, think about it and seek to become it. Those who don’t want to commit fully to the marriage act as though they don’t know it and quibble over whatever it is that they want to keep for themselves. There used to be a time when married couples carried the same name. I realize this may sound odd to folks who are under 40-years of age. If we lived back then, my wife and I would be called Mr. and Mrs. Rick Thomas. How does that strike you? I’m not advocating that we go back to this kind of appellation, but I am advocating that Christians come to a better understanding and practice of what it means to become one flesh in marriage. It does not matter what the category is; the couple should be leaning into becoming more and more one in how they live it out. I realize some people will read this and think you’re supposed to be identical twins? That is not what one flesh means at all. That would hinder the grander possibilities of one flesh living. I don’t think Lucia and I could be more different. Those who know us well could list many areas where we are different. But they would quickly tell you that there is a quality of oneness about our relationship that is cool. That’s because we sincerely strive to be one. It’s like a coin. There is a heads and there is a tails. (I’ll let you figure out the side of the coin I represent in our marriage.) One flesh means that we can be very different, but we are still one flesh. Lucia loves going to restaurants for different reasons than I. For her, it is an experience. For me, it is a task to be checked off my list. I have a utilitarian approach to food eating. Lucia has a near worship experience. After we were married, we had several discussions about food. It was one topic among many that we continue today. Those discussions were not between two competitors, but between two people who wanted to learn about each other so we could better serve each other (Mark 10:45). We were no longer two people seeking personal advantage, but one flesh who wanted to grow in our understanding of each other so we could better represent Christ and His Church (Ephesians 5:25). It was not about trying to keep from losing something, but a sincere effort to gain something. I intuitively knew that my Adam-ness was missing something and that her Eve-ness had the perfect matching piece. I needed a rib and Lucia had one. Our goal was to enjoy the ongoing adventure of figuring out how to put it all together in a unified one so we could magnify God’s name through the mystery of being one flesh. We knew there could be no secrets about how we thought about food; we had to talk about it. It mattered little to me and mattered some to Lucia. Our talking to each other about food was not an effort to persuade the other person to “do it my way or the highway,” but to learn how we can best be one flesh. Lucia is okay with hitting the drive thru at the Chick-fil-A. There are times when we just need to get it and go. And I am fine with taking her out for Chinese. In fact, few things bring me more pleasure than enjoying my wife enjoying Chinese food. I did not change her a lot and she did not change me a lot. Changing wasn’t the big point regarding our food preferences. It was the gospel that taught us if we learn to set aside what we like for the greater good of the other, then we both would benefit (Philippians 2:6-7). It is not unusual in counseling situations for there to be a lack of one flesh practice when it comes to money. I do not know how this works out in the greater body of Christ, but it is common for couples in my counseling to have “his money, her money problems,” and their two preferences shall never meet. It is a clear lack of understanding and applying the gospel to marriage money. There is no biblical warrant for divided marriage money. The Bible leans toward a marital community pot from which both partners work. If you’re seeking to be one flesh in your marriage, being one flesh in money is a no brainer. If a couple cannot be one flesh in their money, you will more than likely find other fractures in their relationship. Not pursuing monetary unity is not just a financial issue in the marriage, but a systemic problem that speaks to a marriage that is not one flesh in other ways. One flesh in money means the couple is accountable to each other and they have a singular vision regarding how they relate to money. It is not to say the wife does not have money to spend herself or the husband does not have money to spend on himself. It means they are one when it comes to money. Each marriage works out how they handle money according to the peculiarities of the partners in the marriage. There are a zillion ways to do this because each marriage is diverse. There cannot be a one size fits all. Each couple needs to be willing to sit down and talk through how to accomplish one flesh in money matters. I will share some of the ways we live out monetary one flesh-ness, but I would never expect anybody to do it exactly the way we do. It is our way, but not necessarily the best way for you. Lucia handles all of our finances. Though I could do it and did do it the first few years of our marriage, we found it easier for her to handle the finances once she became a full-time mom. We’re one flesh, so it should not matter who manages the money. We both have the freedom to buy things. We talk about all expenditures that are outside the normal day-to-day expenses. We mutually agree on how we spend money. We have an open, transparent, and accountable financial relationship. She knows what I do with our money. I know what she does with our money. Money should never be a big deal in a relationship. Money is a means to glorify God, not an end to satisfy ourselves. If we’re rich, we’re both rich. If we’re poor, we’re both poor. We are a team working on the same financial page, trying to glorify God with the money that He gives us to steward. The most obvious thing about the whole financial discussion is that it was never intended to be his money or her money. It is God’s money. It’s ironic that two people in a marriage would be quibbling over God’s money. Fighting over someone else’s money is a form of stealing, plus deceit, as well as biblical immaturity. Imagine someone giving a husband and wife $1,000,000 to build a structure that you could see from across the city. At the top of the structure, the man wanted his name placed so everyone would know that it was his structure. This kind of marriage is a mess. Christian couples don’t argue this way because they want everyone to see their unity in money, as well as in everything else. They do this because they want to make God’s name great. When folks look from across the city, they see the fame of God through this beautifully assimilated one flesh couple. Are you one flesh in your money? What does a lack of one flesh living in money reveal about other areas of your marriage? Will you talk to your spouse about the content of this article? And make a plan to change what the Lord pinpoints about your marriage?